Two layer softshell.Do not soak.Wash separately. 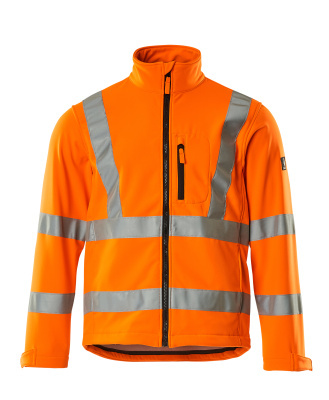 Fluorescent with vertical and horizontal reflective tapes. Fleece on inner side. Fastening with zip and internal storm flap. Chest pocket with zip. Front pockets. Inner pockets. Ergonomically shaped sleeves allows high freedom of movement. Hook and loop band fastening at cuffs. Adjustable elastic drawstring at waist.